The images below are an example of the framing that we offer to add to your print purchase. Prints are framed in a classic museum style frame using archival techniques. This consists of a 3" white matt*, high quality black wood surround and conservation clear, UV protected glass. Our framing service is provided by a reputable, local professional custom framer here in Austin Texas. Framed prints are shipped in special framed artwork boxes via FedEx. Unfortunately we're are unable to ship framed prints outside of the US. We're currently in the process of adding the framing option to everything on our website. If the option isn't there yet, simply contact us before you place your order and we can organize everything for you. If you have any special requests for your framing that differ to the style we offer, please contact us so we can be sure to meet your requirements. A great print deserves a great frame and we would be delighted to advise you on how best to select the right frame for your print. 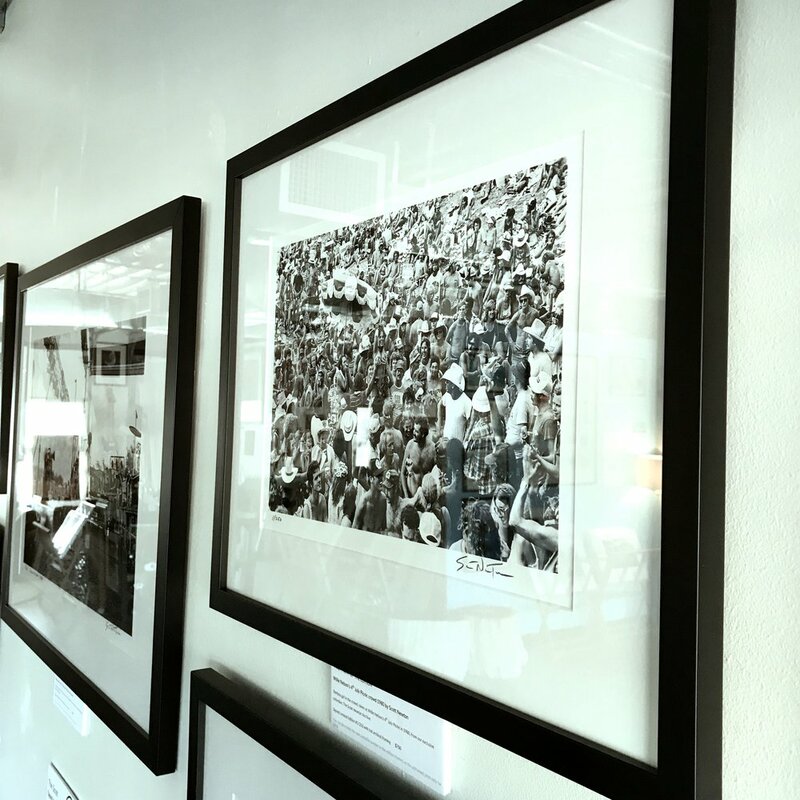 * Due to the slight grey tone of the metallic paper Kirk Weddle uses for prints from the Nirvana Nevermind Outtakes, the matting we use is a silver/grey color and not white. See the Nirvana image above for an example.